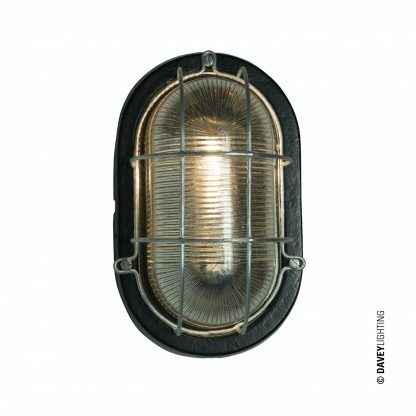 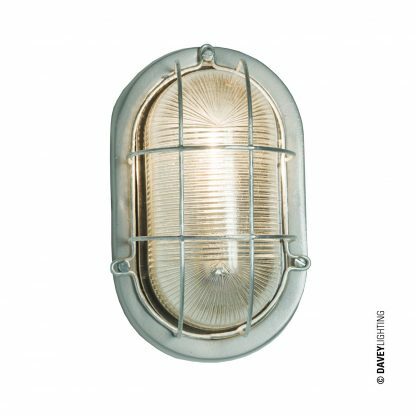 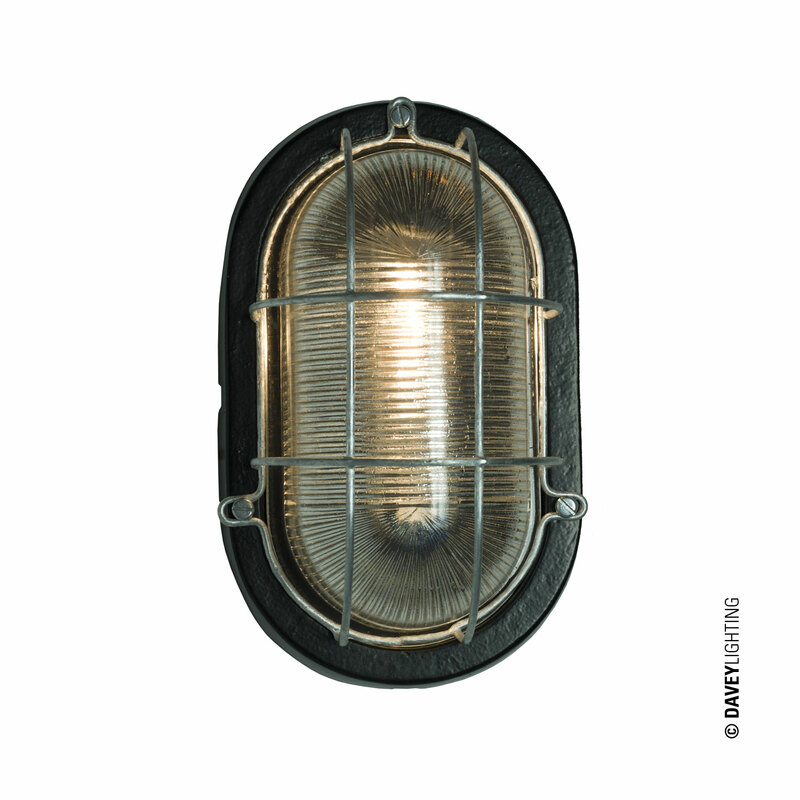 The oval aluminium bulkhead light with wire guard, manufactured by Davey Lighting. 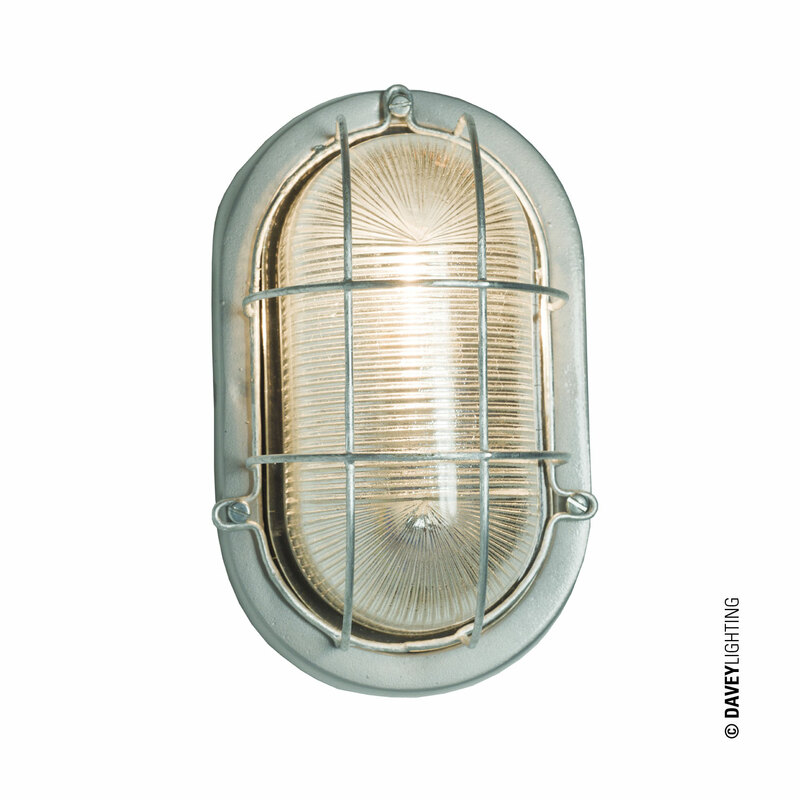 A cast aluminium utility bulkhead light fitting, with clear prismatic glass (replacement glass also available – please contact us for more information), together with a wire grid glass guard. The classic industrial light; rugged, waterproof, and stylish, it works in any setting from a bare brick, utilitarian style, to say nothing of a softer setting with plants growing round it.